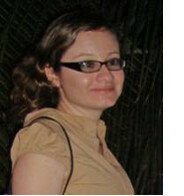 Guadalupe Lovelia Magaña was 28 years old when she became a GOJoven fellow and was born inCorozal,Belize. She obtained an Associates degree in General Studies fromSt. JohnsCollege. Lupe began working with young people in 1995. 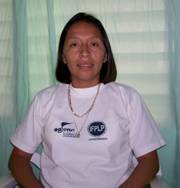 Her professional experience includes: teacher, president of the Progresso Youth Club, and Community Rehabilitation Officer for the Community Rehabilitation Department of Orange Walk District. Lupe believes strongly that if given the opportunity and provided a supportive environment, young people can be empowered to create positive change in their lives.